Ever wonder how bloggers pull off amazing photoshoots? If you are on Instagram and you follow bloggers, then I’m sure your feed is full of perfect pictures. Have you ever wondered how bloggers pull off these amazing images for their content? It may look easy, but please understand that great images are a direct result of a successfully planned photoshoot. 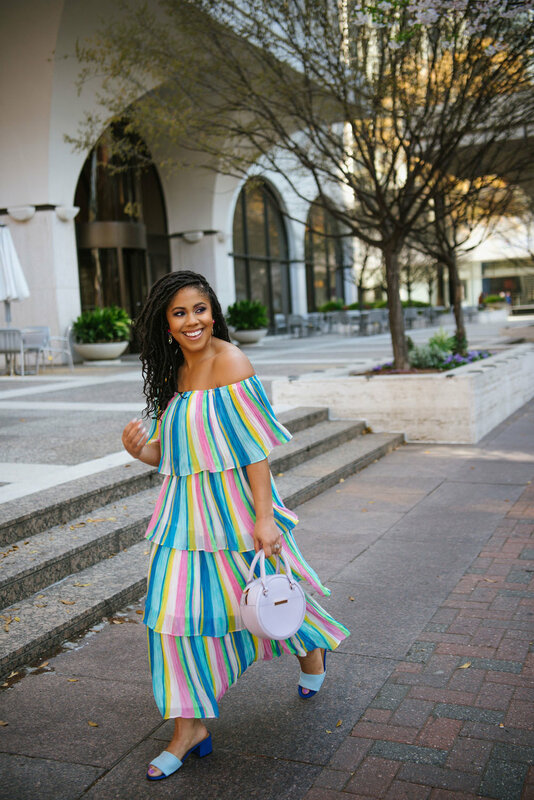 I always love sharing knowledge and insight with ya’ll, so in today’s post, I’m sharing everything you need to know about planning for a blog photoshoot. 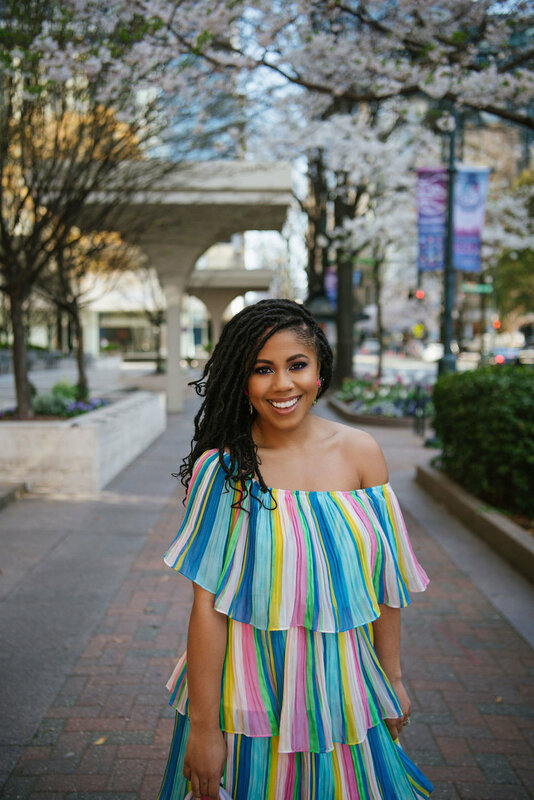 These tips are great for my blogger babes, but also can be great tips for anyone who has an upcoming photoshoot for a new headshot, profile picture, family photo, gender reveal etc. I’m going to walk you through each step from start to finish and share how I plan and prepare for my photoshoots. After reading these tips, you’ll have a full strategy to pull off the perfect shot! Planning plus Preparation is the secret sauce to pulling off any successful photoshoot. Before your photoshoot, consider answering these questions to plan and fully prepare. Why are you shooting in the first place? Are you shooting for a blog post, a new headshot, a brand collaboration, or for fun? What is the concept of your shoot? If you need inspiration, check out magazines, Pinterest or your favorite feeds on the Gram. Are you comfortable with posing in front of a camera? Let’s be honest, posing at times may feel awkward and weird, but get comfortable and try your best to loosen up and enjoy your photoshoot so that your true personality shines through your pictures. This may sound crazy, but before your shoot day, try to practice in the mirror so that you are comfortable with your angles and poses, I promise, with practice, you’ll get that winning shot. What is the location of your shoot? Are you shooting indoors or outdoors? If outdoors, have you checked the weather? (Don’t let rain ruin your shoot day because of poor planning). If you are shooting street style, have you scouted interesting locations and fun photo walls in advance? If you are shooting at an indoor studio, have you planned ahead and booked a session? Are you shooting alone, as a couple or as a group? Are you booking a professional photographer? Do you own your own camera? Are you asking a friend to borrow their camera? Remember, shooting on your Iphone is cool for social photos, but if you have a brand collaboration, brands expect quality high resolution photos and the iPhone is not advised. Do you have a glam plan? What will your hair, nails and makeup look like for your photoshoot? Have you groomed? This should be common sense, but just a reminder so you don’t forget and have hairy armpits on your shoot day with that strapless dress. What are you wearing? Do you have it already? Do you need time to order online or shop at a store? Are you renting from rent the runway or thrifting in search of a rare find? Are you wearing one outfit or shooting multiple outfits? Do you have the appropriate undergarments for your outfit? If you fail to ask yourself these questions, you could miss a major element and your photoshoot day could be a disaster. Plan ahead and set yourself up before your shoot day, so on the day of your photoshoot, you can just show up and pose with confidence. If you prepared and planned for your photoshoot using the helpful tips that I shared, then you should be feeling all set and ready to go. You should plan to get a good nights sleep the night before so that you don’t look and feel fatigued. Also, i’d recommend the night before, using some hydrating skincare or applying a facial mask so that your skin can be camera ready. Before you start shooting, make sure that you are hydrated and have something on your stomach so that you don’t look and feel hangry. I usually drink a smoothie before my shoots which is light yet fulfilling. For my clothes, I use a clothing rack to hang my shoot day looks out, so literally I can grab what I need and change quickly. On my shoot days, I batch process and shoot more than one outfit, so the clothing rack keeps me moving fast and efficiently.l in between outfit changes. Get 10% off when you sign up for Lulus emails!